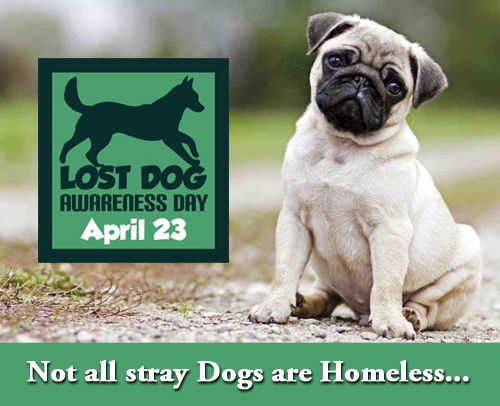 Each year on April 23rd we celebrate National Lost Dog Awareness Day. 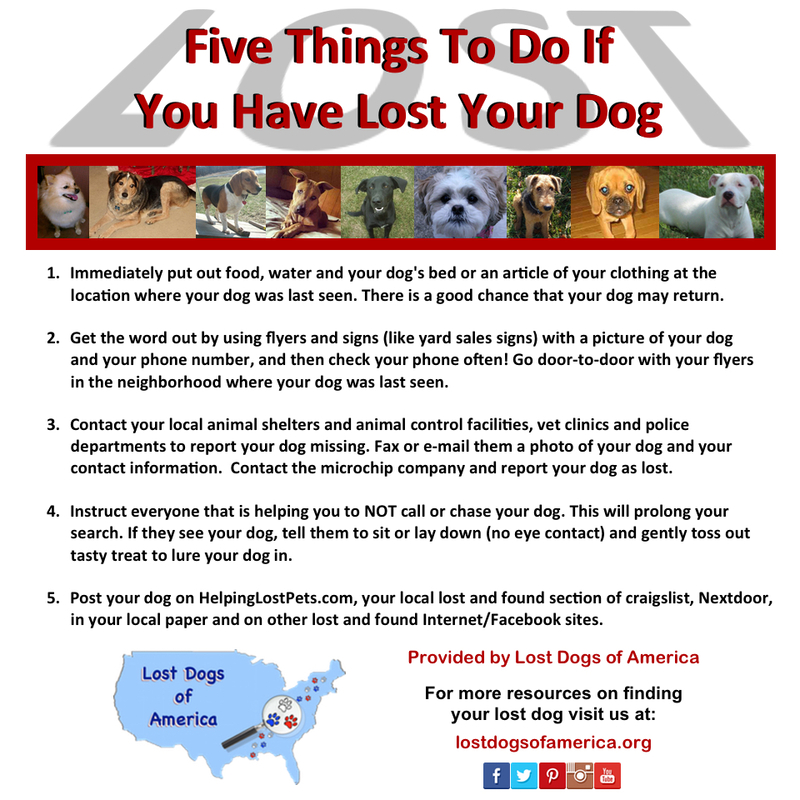 Lost Dogs of America is an all-volunteer organization with the exclusive purpose of providing a free service to help reunite families with their lost dogs. The tenacious efforts of the combined states’ volunteers efforts, along with over 600,000 fans have helped reunite over 125,000 dogs with their families since 2011. Getting lost dogs back home reduces stress on owners’, staff at shelters/animal control facilities, other dogs in the facilities, and ultimately saves taxpayers’ money. It also opens up kennel space for truly homeless dogs. You can share our video below by going to the You Tube link here. Help and hope is available! HELP US RAISE AWARENESS FOR THIS EVENT! Dedicate your Facebook Cover Photo: Save this file to your computer and upload it as your Facebook cover picture. Dedicate your Facebook Profile Picture: Save this file to your computer and upload it as your Facebook profile picture. Shelters can hold a free or reduced cost microchip clinic to promote more pets being microchipped. Microchips should include free registration at the time of implant for the best effect. Individuals can save our event logo pictures and add as your Facebook profile picture or cover photo prior to and on April 23 to raise awareness. With your help we can share and reinforce the message that “Not all stray dogs are homeless dogs”. 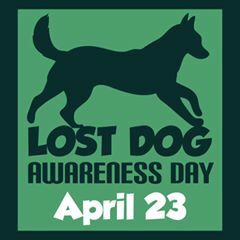 Help us raise awareness to help reunite more lost dogs!